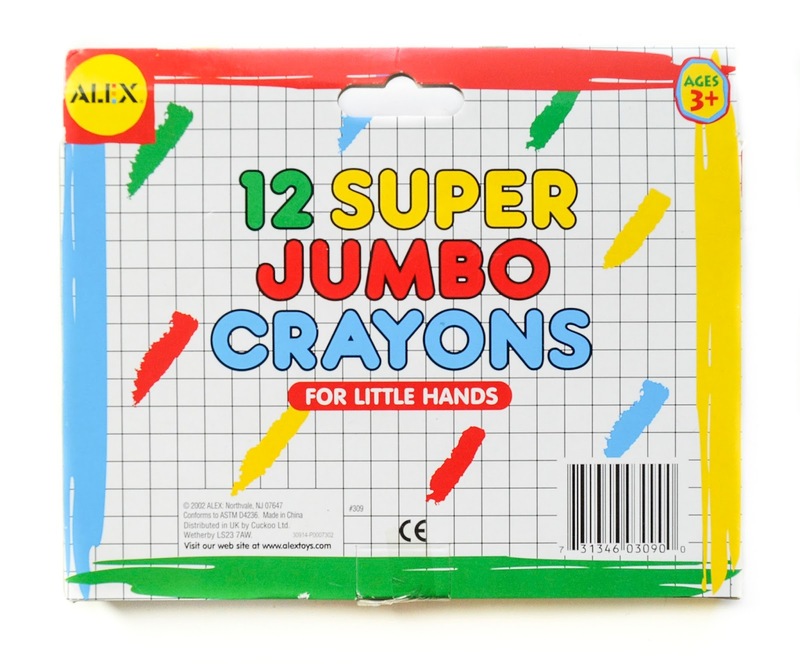 The Alex 12 Super Jumbo Crayons are fun crayons. They come in standard colors and are very strong. They are made especially for young children. 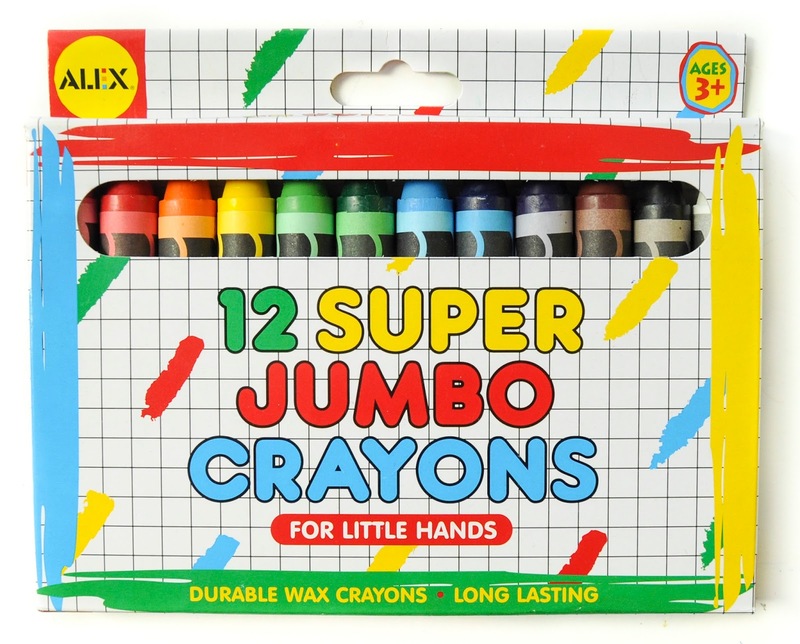 We have had several jumbo crayons over the years. These crayons color very well, the colors are bright and produce an even lay down. I am so excited for my kids to use these crayons. And I am excited to add some other brands to my collection, because you know me, I love all crayons. I received these crayons from Special Needs Essentials for a special post for Autism Awareness Day LightItUpBlue. Check out the post and help make the world blue! This post does not contain affiliate links, but does contain links to their site. 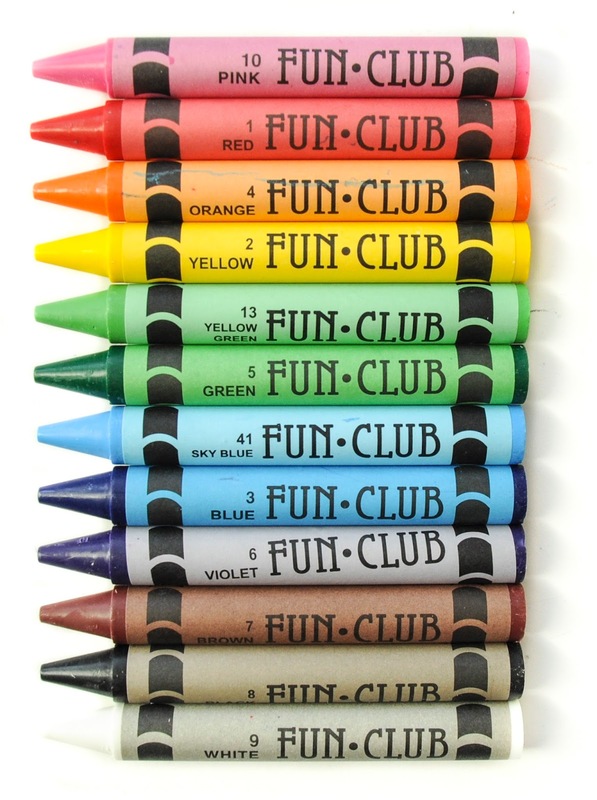 The individual crayons have numbers by the colors which I have not seen with any other brand. It is interesting to note they are not numbered 1-12. Numbers 11 and 12 are missing and 13 and 41 are present. Does that mean that they have that many crayon names? The year of the crayon is also printed on the crayon. I love that they provide this information.